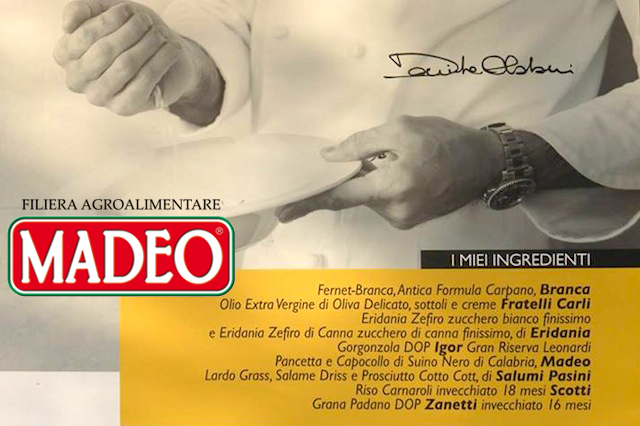 Special greetings and a big “Thank you” to Chef Davide Oldani! Unfortunately our experience at this year’s Expo 2015 has now come to an end and once again we would like to sincerely thank Chef Davide Oldani, the Expo ambassador, for his creations based on Madeo products:“ Rice bread with Capicola of the Calabrian Black Pig, Grana Padano D.O.P, cocoa beans and walnut sauce” and “Corn Bread with Pancetta of the Calabrian Black Pig, dried tomatoes and raisins”. A big ‘Thank you!’ to all of those who contributed to the success of these delicious sandwiches!